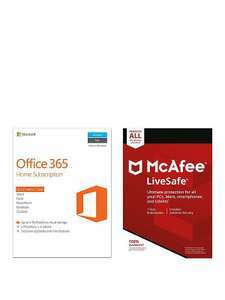 Microsoft Office 365 Home + McAfee Livesafe £49.99. Not voted, but you can get an Office 2016 pro + key from Amazon for £6.99, so this looks a bit pricey. Heat, Argos is all sold out of their deal anywhere I can find, and they had an extra 10% off on the site yesterday. Useful for the cloud storage alone!